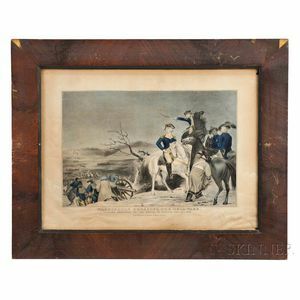 Washington, George (1732-1799) Washington Crossing the Delaware. New York: Nathaniel Currier, pre-1857. 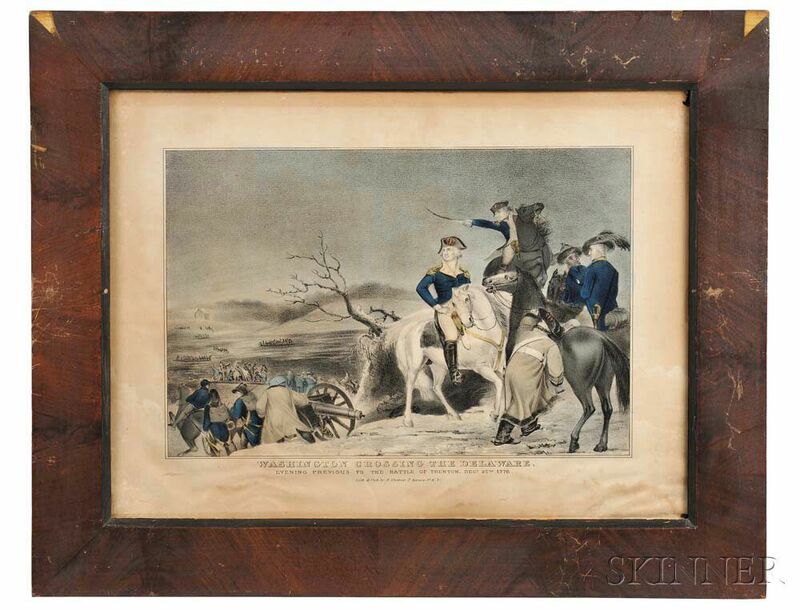 Hand-colored engraving, framed, minor flaws to frame, rippling and soiling of blank margins, 12 1/2 x 8 1/2 in.